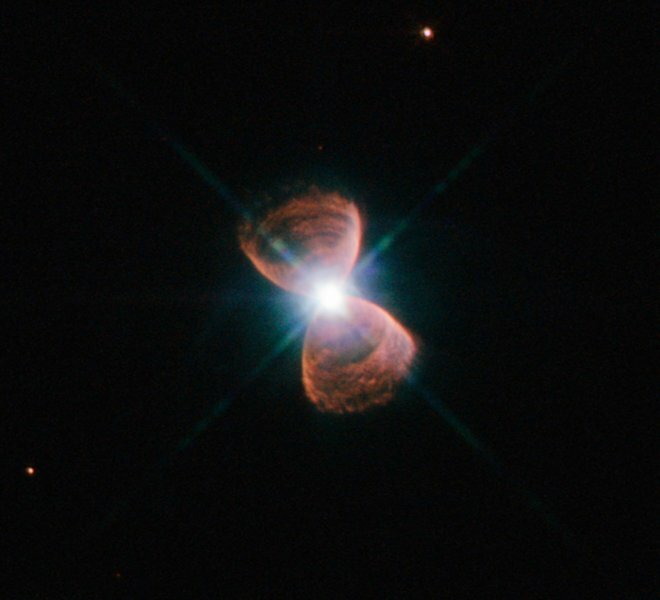 ← What is a planetary nebula? 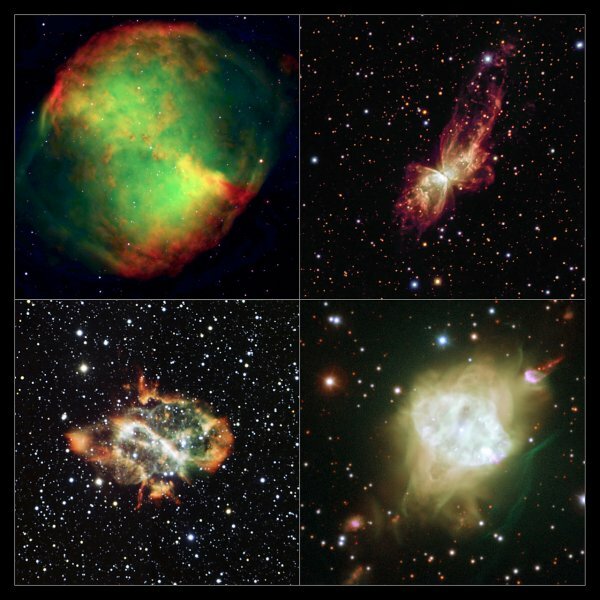 The different types of planetary nebula, and what causes a dying star to form one or the other, is an ongoing field of study. It is known that a star’s planets affect the ejected gas envelope which forms the nebula, as does the presence of a binary companion star. None of this gives any clue about why scientists are seeing this alignment, though. But one intriguing possiblility has been suggested by the paper’s authors: The central bulge of the Milky Way, where these nebulae were found, rotates en masse, and may have a magnetic field far stronger than previiously believed. This magnetic field could have a strong influence on the formation of bipolar planetary nebulae, possibly enough to force them to align with the galactic pole.